- Establish a local supply systems to adapt to the stringent environmental regulations and promoting use of natural gas. 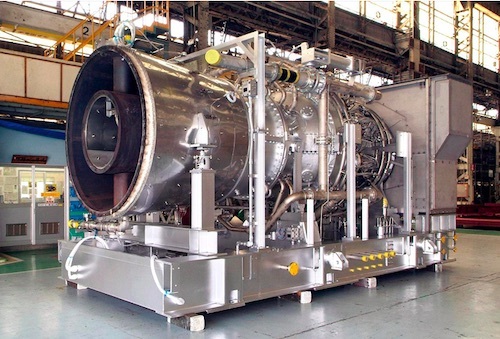 TOKYO, Apr, 04 2019 - (JCN Newswire) - On March 28, Mitsubishi Hitachi Power Systems, Ltd. (MHPS) signed a Technology License Agreement (TLA) under which it will license production technology for its H-25 Series gas turbines to CSIC Longjiang GH Gas Turbine Co., Ltd. (GHGT), a Chinese company headquartered in Harbin that undertakes development, engineering and manufacturing of gas turbines. Today the Chinese market is implementing increasingly stringent environmental regulations and promoting use of natural gas. 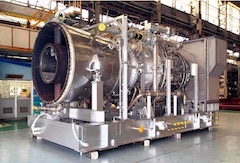 In response, the country's industrial parks are shifting away from their existing coal-fired boilers to gas turbine cogeneration systems, a trend driving increased demand for small-capacity gas turbines like MHPS' H-25 Series. The newly concluded TLA is targeted at enhancing the company's competitive position by establishing a nimble local supply system, as a way of expanding MHPS' share in the Chinese market. The H-25 Series are heavy-duty gas turbines with a proven record of outstanding reliability and ease of maintenance after many hours of operation. Since their launch in 1987, more than 180 units have been adopted worldwide. In recent years, its demand has been increased, especially for cogeneration systems in industrial parks. 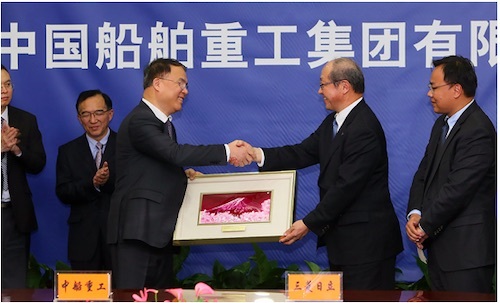 In China, MHPS has built a close relationship in this area, with orders processed through Harbin Guanghan Gas Turbine Co., Ltd. (HGGT), a member of the CSIC Group. Five orders for H-25 Series gas turbines, nine units in total, have been received in China, accounting for a high share of the local market for small gas turbines (30-50 MW). Now, with enhanced business ties being forged through conclusion of the new TLA--a move also in line with the Chinese Government's policy targeting domestic production of gas turbines--the H-25 Series gas turbines are expected to further strengthen their presence within the Chinese market. MHPS provides total solutions through its full range of products for use in thermal power plants: from high-efficiency, large-capacity power generation systems to energy-saving industrial systems incorporating small-capacity gas turbines. Going forward, the company will continue to actively market its products in the large-scale power supply market and will continue to promote its energy-saving H-25 Series and other gas turbines in the industrial and distributed power markets. In doing so, the company will respond to diverse user needs as a way of contributing to economic development and reducing the carbon footprint in nations and regions worldwide.